The earnings graph shows you how much money was brought in during the specified time period. 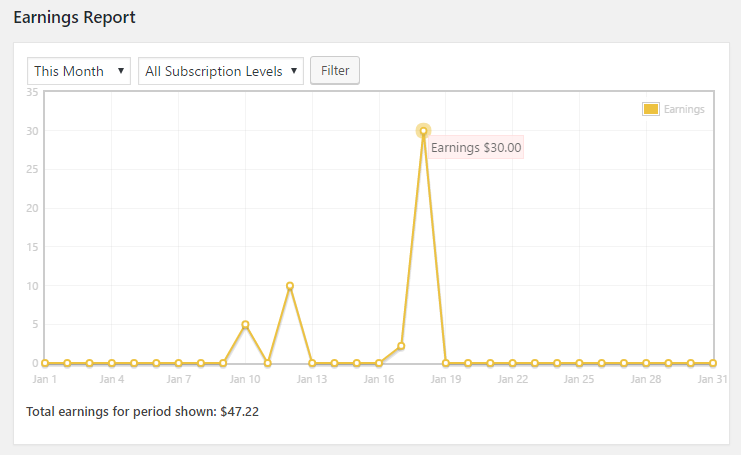 In addition to filtering by date, the earnings report can also be filtered by subscription level. 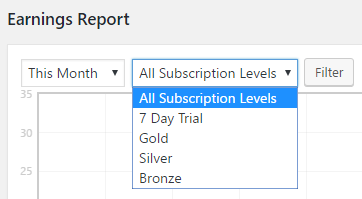 The drop down defaults to "All Subscription Levels" but can be changed to show income for a specific level instead. The refunds graph shows you how many payments have been refunded during the specified time period. This information is based on the payment status listed in Restrict > Payments. 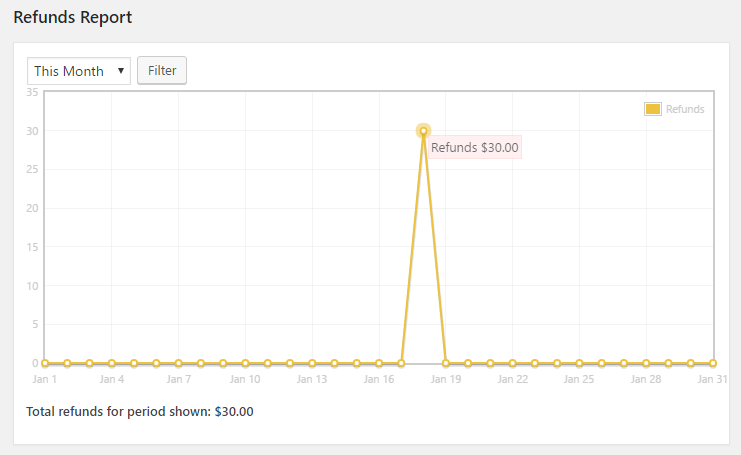 If the status is "Refunded" then it will appear on this graph. 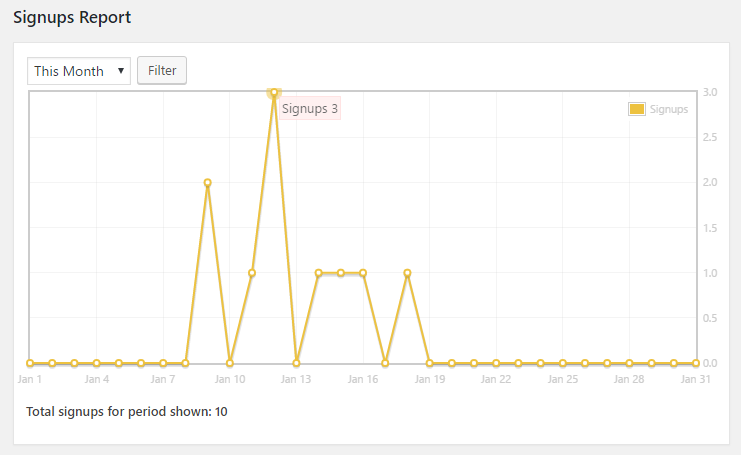 The signups graph shows you how many new signups (registrations) have occurred during the specified time period.